ECP Kicks Off the Season with a Funtastic ECP Cup! Looking for the best competition in the region? Play an ECP Team! King of Prussia, PA -- What an opening weekend! For the first time, nearly all of our East Coast Power teams gathered in one place for a fun day of competition. 13-Galaxy knows the ECP Cup is serious business! We loved seeing all of our teams from Bucks, King of Prussia, Lehigh, Susquehanna, Storm and our sister club East Coast Power Delaware, all playing across the courts from each other and challenging each other to be better. We had some great matches and a fun day of collegial competition. 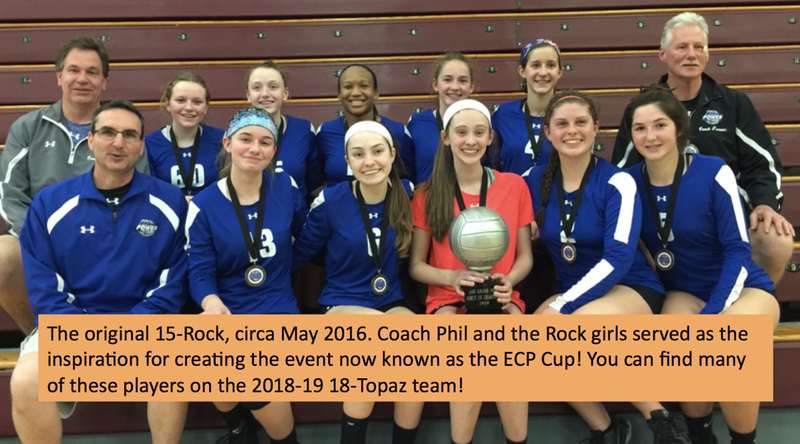 The ECP Cup was effectively the brain child of 18-Topaz coach Phil Brady, way back when he coached the inaugural 2015-16 season of 15-Rock. In May 2016, Coach Phil calculated that his players had gone 7-1 against other ECP teams that year. "That gives us the mythical 'McCann Cup' for most inter-club wins!" he told us. Coach Phil was right! What better way to measure the success of your season than against other ECP teams, who we all know are the best in the region! 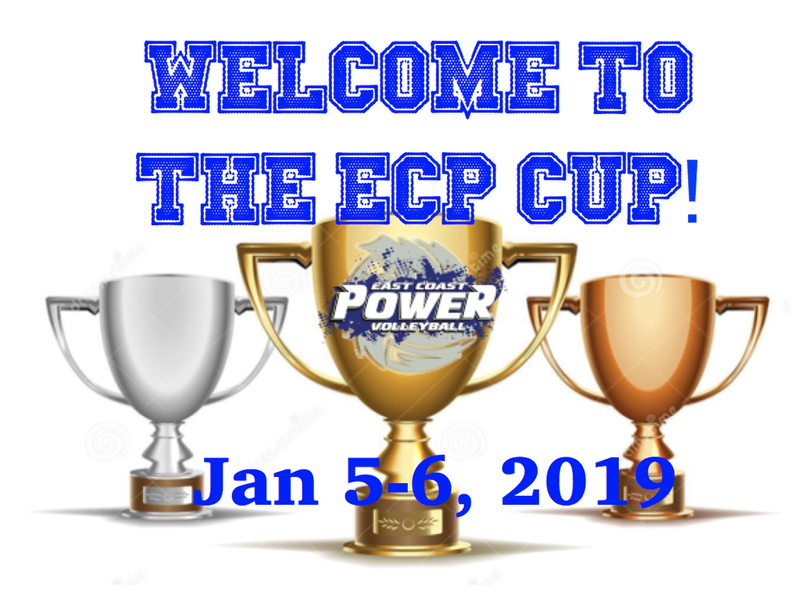 We held the first official ECP Cup last year with our 14U, 15U and 16U teams, and the event was such a success we decided to make it a club-wide celebration. We also invited a few non-ECP teams to help us round out the pools. We'd like to thank Club Integrity and Keystone Juniors for joining us and contributing to the success of this tournament. While we want to congratulate our champions on a great day, we also want to emphasize that this is by no means the final word on ECP competition. Over the years, teams from every division have posted great performances, winning and losing to other great ECP teams. We are confident that all of our teams are headed for great seasons! As we close the books on our first all-club ECP Cup, we hope you had as much fun as we did. 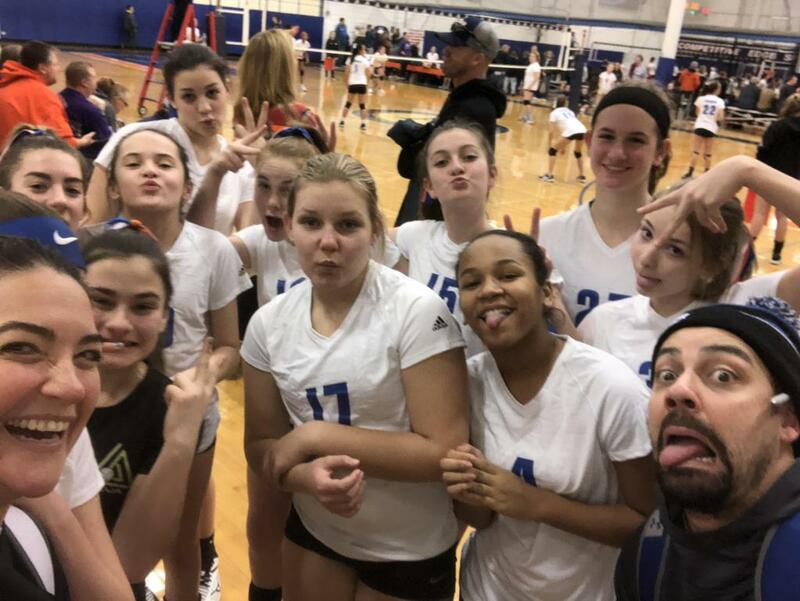 And thanks to Coach Phil and his 15-Rock girls (many of whom are still together playing on 18-Topaz!) for inspiring us to create this fun tournament! You can find all the results of the ECP Cup under Events on the ECP Website. Don't miss our slide show of opening weekend on the ECP home page! 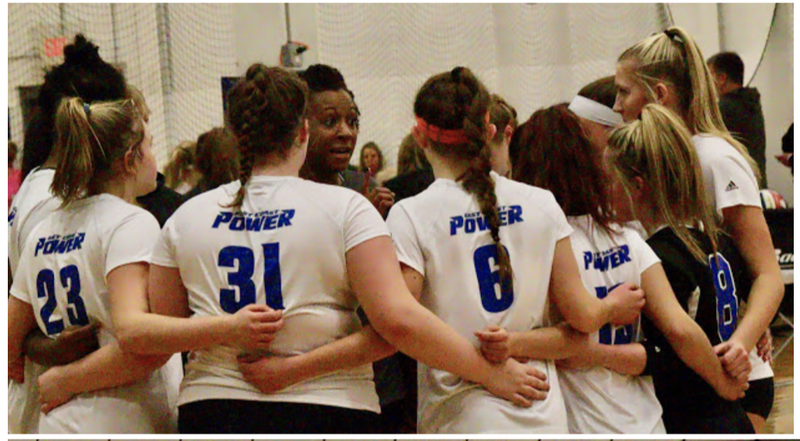 ©2019 East Coast Power Volleyball / SportsEngine. All Rights Reserved.